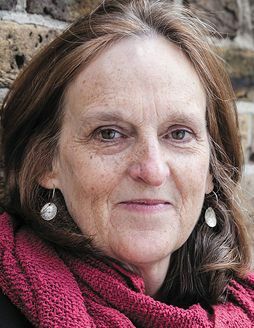 In Tessa Hadley’s new novel, Late in the Day, the death of a London art dealer disrupts the delicate balance of what had been a four-way friendship. Below, the author of The Past and Clever Girl recommends six other examinations of art in fiction. Life Class by Pat Barker (2008). Pat Barker’s second trilogy about the First World War begins with this novel about three young artists at London’s Slade School of Fine Art, one destined to become a medic in Belgium. She offers none of the usual clichés about the war; her research is impeccable but doesn’t feel like research. The story feels fresh and unexpected as life itself. Anna Karenina by Leo Tolstoy (1877). Anna and Vronsky run away together to Italy and he resigns his commission in the Russian army. How to fill his days: Why not take up painting? Tolstoy enjoys some painful comedy at the expense of the dilettante aristocrat as he tries to learn from a real artist. Soundings by Anita Brookner (1997). Long before she became a novelist, Brookner was an art historian at London’s Courtauld Institute. Her essays on painting, mostly French painting, are marvelous. In Soundings, she summarizes incisively and with absolute originality the achievements of Géricault, Ingres, and Delacroix. A Painter of Our Time by John Berger (1958). Berger’s novel illuminates a lost age of politics. Hungarian Janos Lavin paints in exile in London, but when Russian tanks roll into Budapest in 1956, he thinks he must go home to act. It isn’t clear which side the committed Communist is going to take. But Berger punctuates the suspense with wonderful writing about the daily struggle to put paint on a canvas. The South by Colm Tóibín (1990). Katherine Proctor, a woman of the landowning class in rural Ireland, escapes the constraints of her marriage to find a new life in Spain in the time of Franco. Years later, when she returns to Ireland, she paints her native landscape over and over. This is an extraordinarily delicate exploration of the relationship between life and art.